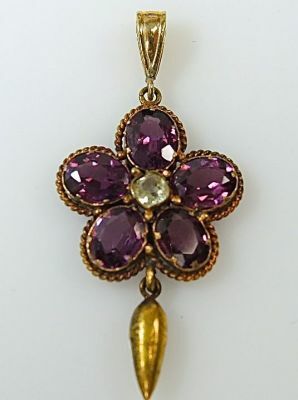 One 14 karat yellow gold floral pendant. Five tourmalines (2.63 carats). One cushion cut quartz. A yellow gold tear-drop bead is suspended from the bottom of the pendant.